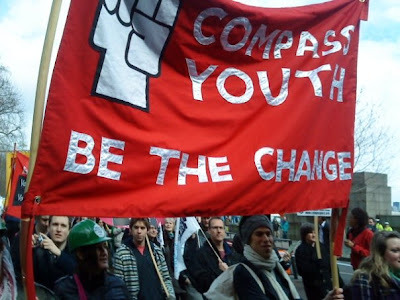 Compass Youth: IS IT TIME FOR A NEW CAPITALISM? A blog on behalf of young members of the pressure group and think-tank, Compass. For more information, visit the site and read our sidebar. IS IT TIME FOR A NEW CAPITALISM? Robert Peston certainly thinks so in his excellent new article on the BBC website. This article reinforces many people's thinking on the economy; it gives people an understanding as to why, where and how the crisis has taken place. Peston remarks on the nature of the crisis, it is the first truly global economic downturn and he relates globalisation to our (the West's) unfettered consumption. Peston perhaps inadvertently echoes Gordon Brown's call for a new Bretton Woods-style international agreement adding that we are entering a new age where now the negative effects of globalisation are being felt on a major scale and the benefits of the global open economy will be forgotten. The BBC have provided commentaries from people such as Norman Lamont and Irwin Stelzer, rigorously defending the free-market ideology but it is Peston's proclamations that I'm sure will begin to strike accord with many people. For too long now, the follies of global capitalism in different corners of the globe have not been considered important enough to stop people spending and consuming. With 2009 upon us and a year-long (at least) recession these commentaries are more welcomed than ever. That the BBC's business editor is providing them is even more significant, not least because it will encourage people who may not normally choose to pay a great deal attention to matters relating to the (global) economy to think about alternatives. An edifying piece, we need more of these articles and less studio appearances from the defenders of free-market capitalism such as messrs Lamont and Stelzer. © 2009 Compass Youth All Rights Reserved. Hacked for Compass Youth by Tom Miller.